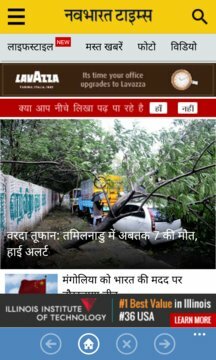 Navbharat Times (NBT) is one of the largest circulated as well as largest read Hindi newspaper of Delhi and Mumbai and Lucknow. It is from the stable of Bennett Coleman & Co. Ltd, which also publishes other dailies including The Times of India, The Economic Times, Maharashtra Times and also magazines such as Filmfare and Femina. NOTE:- This app only provides reference to mobile site and does not store any kind of personal information. 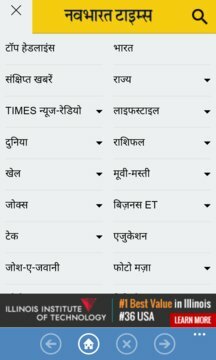 This app and its creators are not associated with or sponsored by 'Navbharat Times'. All rights belong to their respective owners.